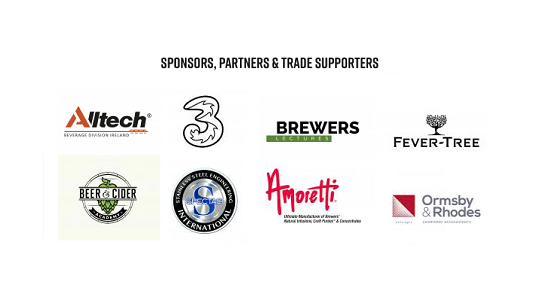 Meet this year's partners, sponsors and trade supporters | Alltech Craft Brews & Food Fair. Alltech Beverage Division Ireland (ABDI) is a sales and marketing led distribution company with a focus on building unique craft brands. ABDI works closely with both well-established and up-and-coming craft beer, cider and spirits brands in Ireland and abroad who share an excitement for brewing and distilling. ABDI operates as a nationwide beverage distributor to both on and off trade establishments and is committed to connecting the consumer with craft brands in a more a personal way consistent with the spirit of the craft industry. ABDI’s mission is to build craft brands for every partner, and to protect and empower the craft beer category in Ireland. ABDI was founded by Dundalk born Pearse Lyons, whose ancestry is steeped in the heritage of Irish brewing and distilling and who was the first Irishman to receive a formal degree in brewing and distilling from the UK. Fever-Tree Indian Tonic Water launched in the UK in early 2005. The brand name was chosen because fever-tree is the colloquial name for the cinchona tree in which quinine, a key ingredient for tonic, is found. The highest quality quinine was sourced from the Rwanda Congo border and blended with spring water and eight botanical flavours, including rare ingredients such as marigold extracts and a bitter orange from Mexico. Since its launch, the Fever-Tree range has received widespread acclaim from drinks critics, bartenders and gastronomes worldwide. This year the company has been awarded #1 Best Selling and Top Trending tonic by the World's 50 Best Bars (Drinks International) for the fourth year running. Since launching, they have created a range of new products - each taking a similarly intrepid attitude to sourcing quality botanicals. The result is fourteen delicious drinks to mix or enjoy on their own. 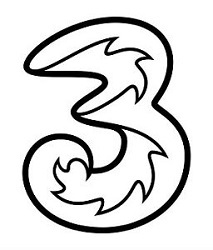 Launched in 2005, Three is now Ireland’s second largest mobile operator with 35% market share and over two million customers. Three operates 2G, 3G and 4G networks, with 96% coverage nationwide. Three’s head office is in Dublin, with Customer Care centres in Limerick and Waterford. Three operates 68 retail stores and currently employees over 1,400 employees throughout Ireland. Three sponsors the Irish International Football team and Ireland’s largest indoor music venue, 3Arena. In February 2015 , Three announced a four year partnership deal with Electric Picnic, Longitude and the NYF Countdown Concert. Three will invest a further €300m in building our state-of-the-art 4G network over the next two years. The Brewers Lectures is a series of live events from leading industry magazine the Brewers Journal. The half day lectures give a platform to six speakers to inspire change, generate discussion and share brewing expertise. Speakers come from across the brewing industry to share ideas. The lectures are hosted four times a year cross the UK and Ireland. The Alltech Craft Brews and Food Fair will host the sixth instalment of the lectures on Friday 9th March, the first time the event will have taken place in Ireland. The Brewer’s Journal is a bi-monthly magazine which gives breweries the latest insights into brewing equipment and associated technologies, as well as the drivers impacting the supply and production of essential ingredients such as hops, malts, and yeast. The Brewer’s Journal is essential reading for those involved, or interested, in the UK brewing industry. Amoretti is a US based company, specialising in super concentrated natural infusions for artisan craft breweries.. Amoretti sources the freshest fruits, herbs, spices, chocolates from around the world, paying meticulous attention to quality & consistency to create over 2000 of the finest ingredients all made from scratch. Amoretti has mastered the minimalistic approach in creating ingredients that contribute delicate aromas, and sophisticated flavors to Artisanal craft beer. Available in 750 ml, 3.8 liter, 22.7 liter, 208 liter and 1041 liters, craft puree’s offer over 50 super-concentrated, filtered and shelf stable fruit that can be added to any brew. Brewers find the consistency of Amoretti products makes bringing creativity to life, easier than ever. Established in 1985, Spectac International is proud to be the only manufacturer in Ireland to custom build Breweries and Distilleries. Spectac International can plan, design and transform production processes to enable companies to save time, reduce costs, minimise lead times and maintain competitive advantage in the marketplace. Spectac customers want to see measurable performance in terms of quality, compliance, reliability that minimises risk while maximising value. Spectacs proven track record in developing and creating superior quality, lasting products and innovative solutions speaks for itself with over 2,000 project successfully completed to date. 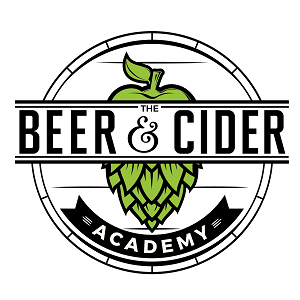 The Beer and Cider Academy was founded as the Beer Academy in 2003 by a small group of beer enthusiasts and quickly attracted support from brewers (large and small), beer retailers, trade associations and consumer groups who enabled the Academy to put together a series of courses and training materials delivered by a small number of experienced and knowledgeable tutors with a real passion for beer. To date, over 4,000 people have attended Academy courses together with a further 10,000 who have enjoyed talks and beer tastings at venues like the BBC Good Food Show, the Great British Beer Festival and the British Museum as well as in pubs and bars up and down the country. We now have 166 Beer Sommeliers from seventeen countries, many of whom make a living from their beer knowledge. With the launch incorporation of cider, we are now looking forward to training Cider Pommeliers with equal success. We are Ormsby & Rhodes, a Chartered Accountancy firm based in Dublin city centre with a long standing relationship with the Alltech family. We provide bespoke accountancy, taxation, payroll and advisory services to a wide range of clients. Whether you are looking to expand, need advice on access to finance or help with debtor control, we can help you build your future! Please call by Liffey Boardroom 3, Level 1 in the Convention Centre for a free consultation during the Fair between 9am and 9pm on Thursday 8th and Friday 9th March.. You look after the Brews and Food and let us look after the books!